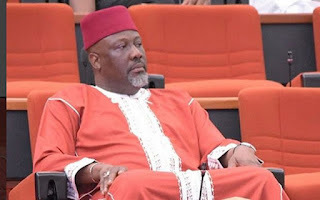 THISDAY reliably gathered yesterday that Melaye might be flown to Lokoja, the Kogi State capital, today (Wednesday) in a police helicopter after same attempt to transport the embattled lawmaker by road to Lokoja last Tuesday failed. He is the first Nigerian lawmaker to survive a recall move, which was apparently instigated and heavily financed by the Kogi State Government. It was gathered that the latest move by the police is contrary to medical advice from the authorities of the National Hospital in Abuja, a similar scenario that played out last Tuesday night at Zankli Hospital where Melaye was initially hospitalised, a development which led to the arrest of a medical doctor and Melaye’s younger brother. According to Sources at the hospital, Melaye was not medically fit to be taken away to any location for now. The embattled senator had earlier cried out that some people want to assassinate him for the crime he did not commit. However, the case is billed for hearing in Abuja as directed by the acting Chief Judge of the Federal High Court, Justice Abdul Kafarati. Meanwhile, all effort to speak with the Police Public Relations Officer of Kogi State Police Command, Mr. William Ayah, to comment on the issue proved abortive as his phone line could not be reached by THISDAY.